Nasar’s research spans a number of topics. Firstly, with respect to his over-arching study of citizenship, he is especially interested in arenas of political participation, education policies, approaches to anti-discrimination, public and media representation, and the ways in which collective membership is conceived and operationalised. Secondly, he is undertaking a five year study of Scottish citizenship and ethnic minorities through a personal fellowship funded by the Royal Society of Edinburgh. Thirdly he is engaged in a reading of the African-American scholar W. E. B. Du Bois, and the relationship between his concept of 'double consciousness' and ideas of recognition and misrecognition. Fourthly, he is studying developing international legal frameworks concerning the status of former political elites (and is working on a monograph on this topic Palgrave). 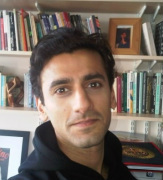 Fifthly, he is researching the sociology and politics of racism, Antisemitism and Islamophobia, and finally, he is interested in the relationships of journalism to ‘public intellectualism’. He would be happy to supervise students working in the areas of Social and Public Policy, Race and Ethnicity; Citizenship, Multiculturalism and Interculturalism; Identity; Ideas; Religion and Society, Print Media, Public Discourse, and Education, amongst others. Scottish Nationhood and Ethnic Minorities. Fellowship at the Institute for Advanced Studies in the Humanities, University of Edinburgh, 2012-2013 (Supported by British Academy Small Grants). Have European Citizenship Regimes Entered a Post-Multicultural Age? Fellowship at the Centre for European Studies, Harvard University, 2012-2013. Symposium on Antisemitism and Islamophobia, University of Southampton. Faculty of Law and Social Sciences, University of Southampton, 2010.
International Conference on Misrecognition, University of Bristol. Economic and Social Research Council (ESRC), Centre for the Study of Ethnicity and Citizenship; University of Southampton, 2010.